Analyze coverage of a topic across major networks and TV affiliates. See an example. Search TV like you search the internet. Use filters and boolean logic to narrow down results. Download transcripts for any recording made in SnapStream & eliminate labor-intensive manual processes. Build a searchable digital archive to store all of your TV recordings, add storage to hold as much as you need. SnapStream isn't restricted to use by just one department, there's no limit to the amount of users. “It enables us to be spontaneous and dynamic. I can perform an ad hoc search, create a clip on the fly, and pull it up in class." "Excellent customer service and reliability of the appliance." SnapStream replaces VCRs and VHS tapes for archiving and content analysis. 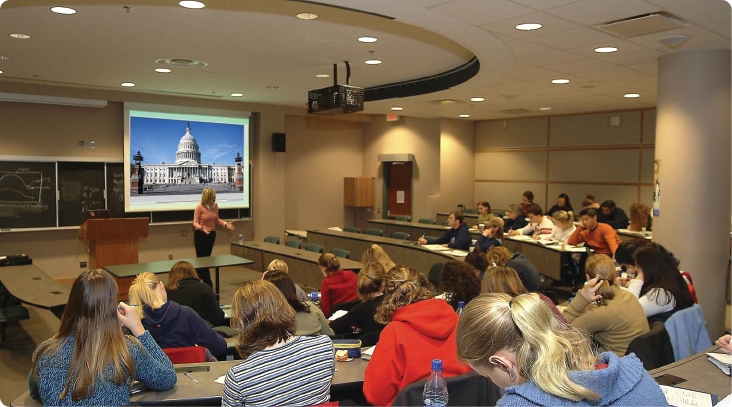 See how SnapStream completely transformed the CHEER lab at the University of Cincinnati. 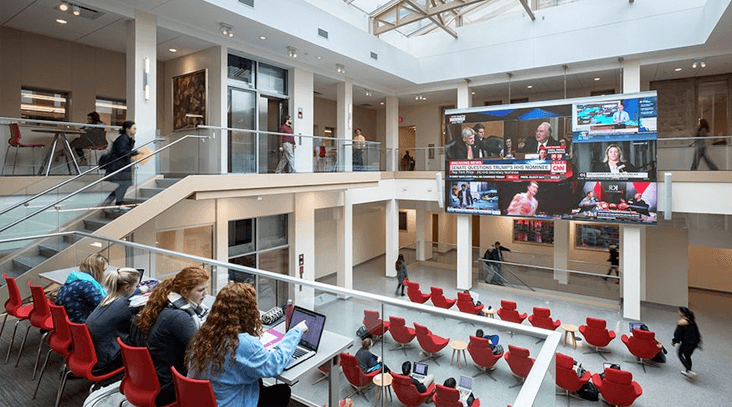 SnapStream provides the Department of Journalism at Emerson College with the ability to capture, edit and view live TV in the classroom, access to a vast archvie of TV news broadcasts and is a valuable tool for media research and content analysis.